Doing complex layouts and measuring on walls or ceilings can be a real pain, especially since you have gravity working against you every step of the way. 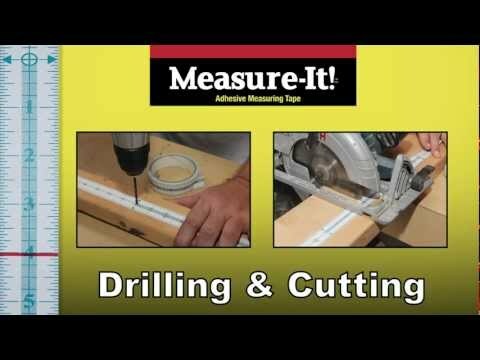 Measure-It is like tape that fights against gravity thanks to its adhesive back, and you can use it just like a measurer thanks to its markings on the front. I guess you could call it a tape measure. 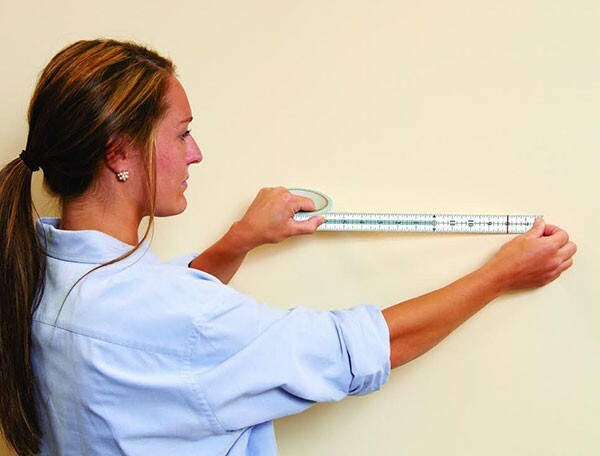 Measure-It features standard inch and foot markings so you can use it just as if you were using a tape measure on a wall, only it won’t fall down on you. It also features 16” on center markings so that additional studs are easy to locate. The adhesive used in Measure-It has a low degree of stickiness, which allows the user to reposition it without having to worry about it lifting up paint or leaving residue. Just like masking tape, you can easily write on it with a regular marker, pen or pencil. Mearure-It! The ideal project tape that allows you to work faster an more accurately in all your Do-It-Yourself projects!